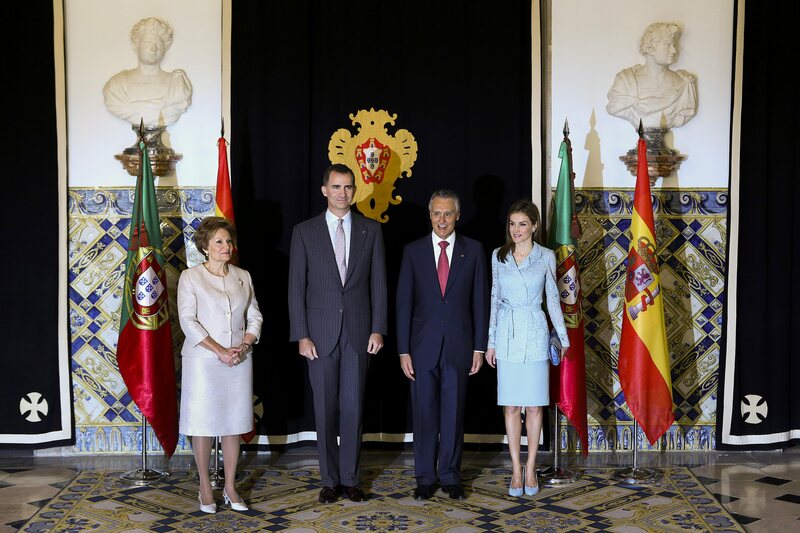 King Felipe and Queen Letizia will meet at Belém National Palace with the President of Portugal and his wife Maria Cavaco Silva, who will offer a lunch in their honor. 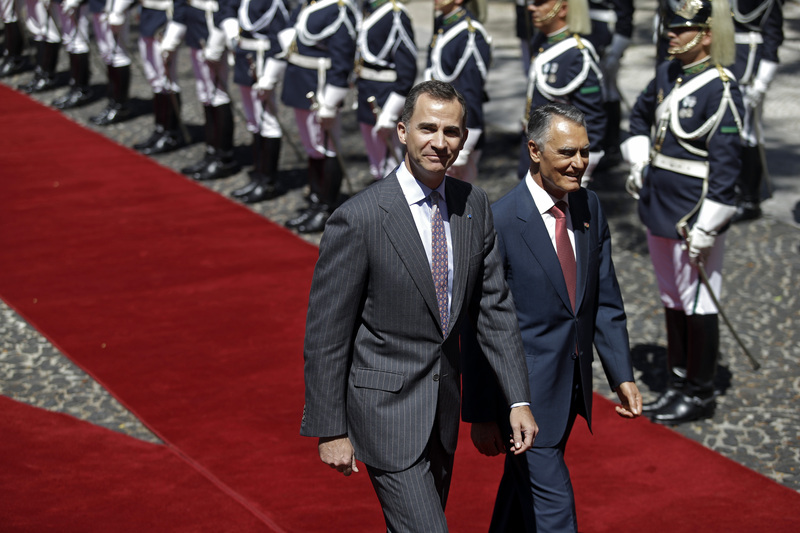 The King and Queen will also keep meetings with Prime Minister Pedro Passos Coelho, and the president of the Assembly of the Republic, Assuncao Esteves. 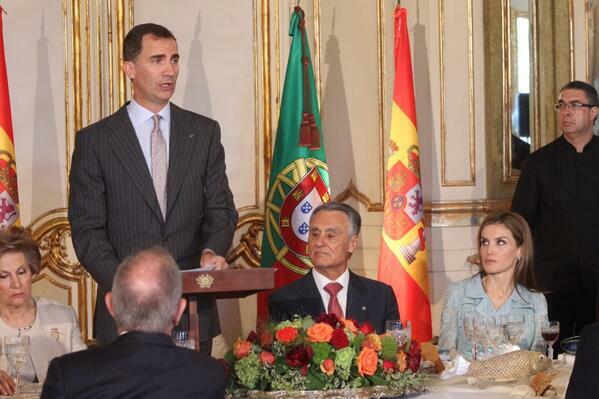 Meeting of King Felipe with President Cavaco Silva . 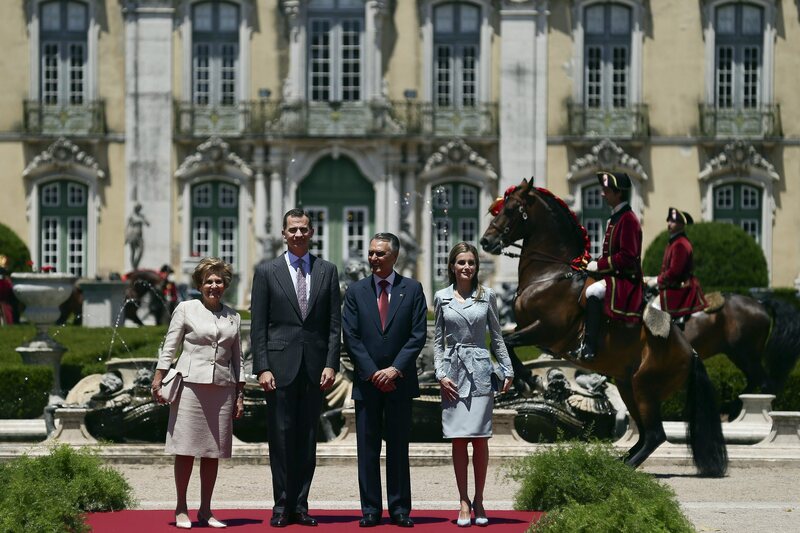 Maria Cavaco Silva and Queen Letizia will meet in the Palace of Belem with the president of the Federation of Rare Diseases Portugal, Paula Costa. 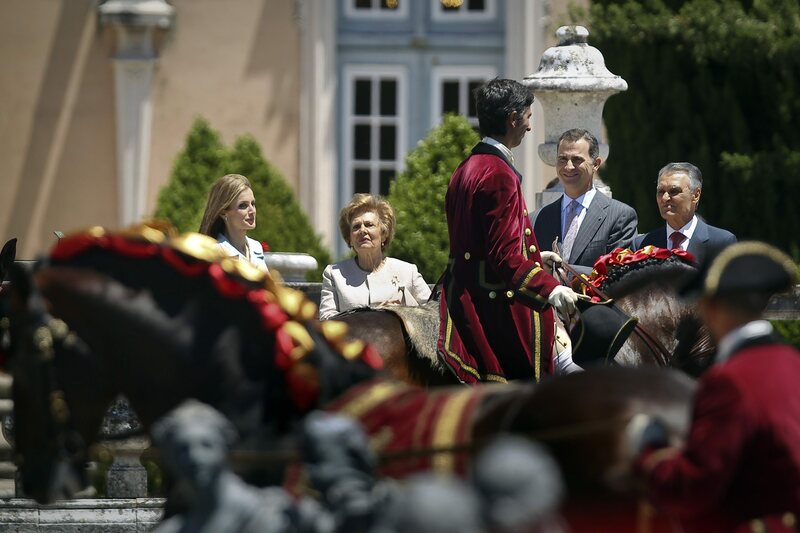 Arrival to the Palace of Queluz, they will tour the gardens and attend a horse show of the Portuguese School of Equestrian Art. 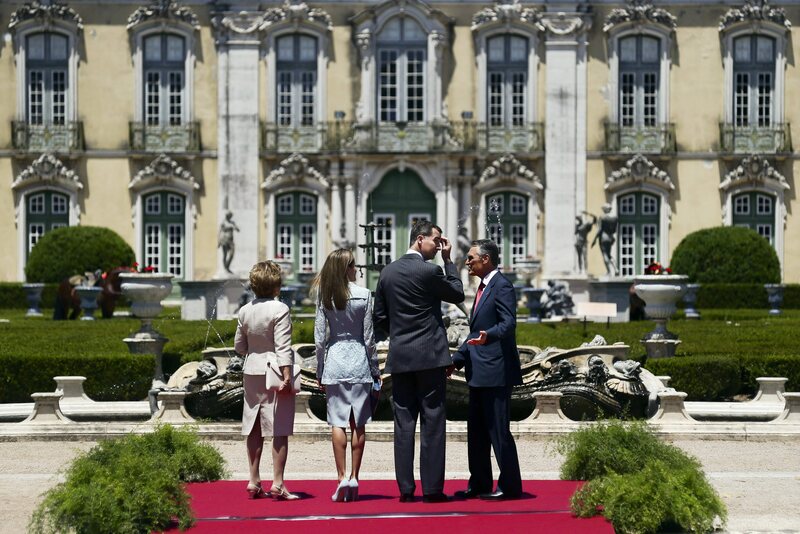 There the President will offer a lunch attended by a hundred guests of Portuguese institutions, society, politics, business and culture. 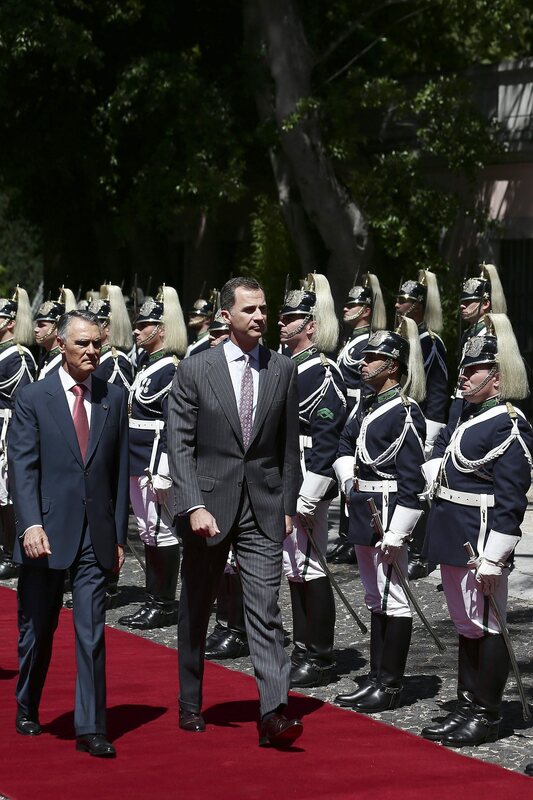 Meeting in the National Assembly with the Speaker of the House, Assuncao Esteves, and parliamentary speakers; they also will visit the Chamber. 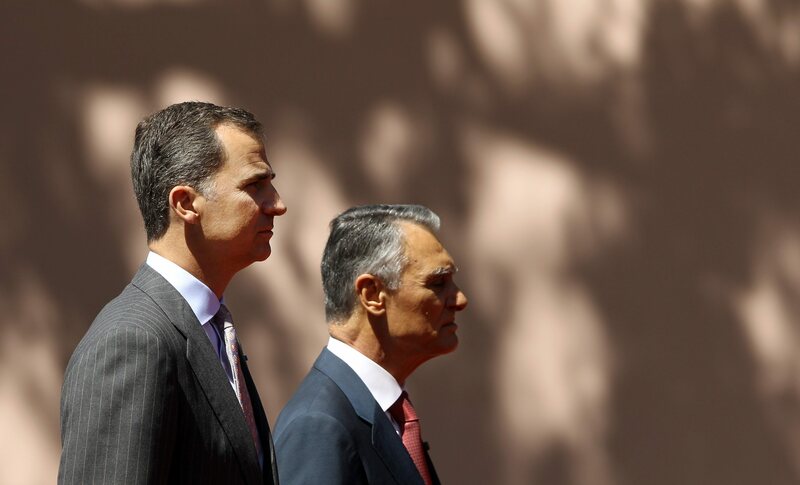 The Kings of Spain are in Portugal. Oh how lovely, in light blue...... wonderful colour for the new Queen! 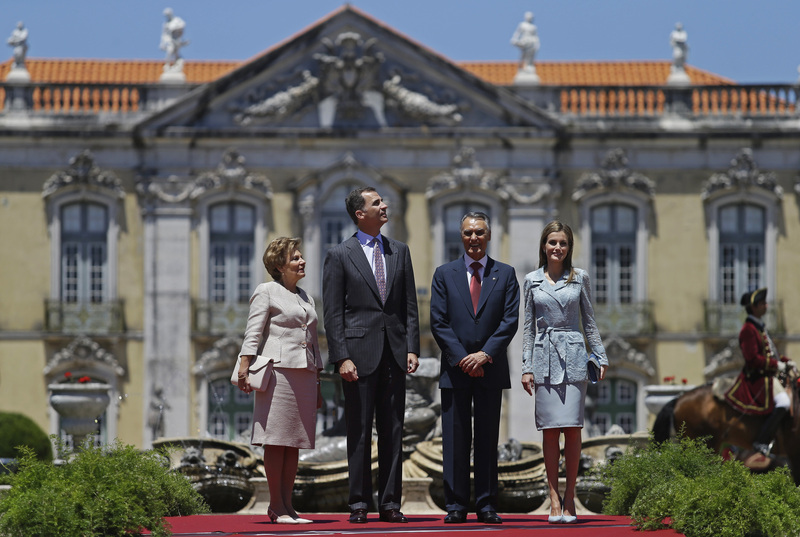 I wish I was in Lisbon to go see. 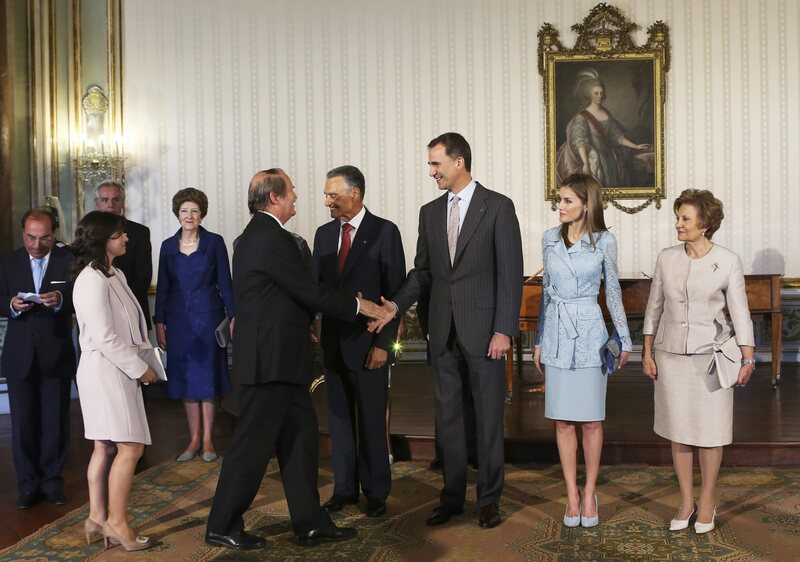 Were the visits of Kings of Norway and Sweden. 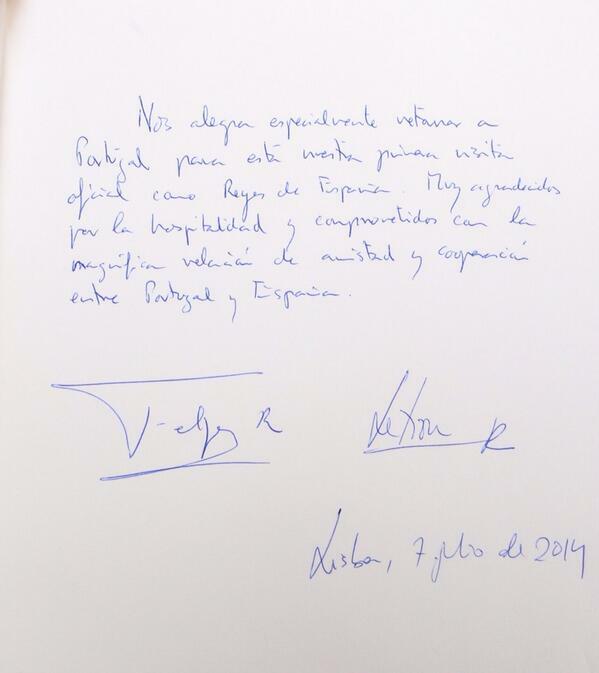 We can also see the signatures of Felipe and Letizia as Kings. Never heard of her. It could just be a nickname. I don't know.